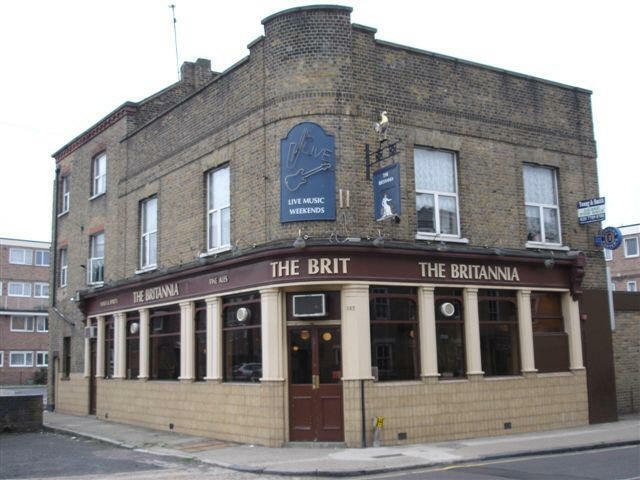 Britannia, 185 Bow Common Lane, Mile End E3 - A listing of historical public houses, Taverns, Inns, Beer Houses and Hotels in Mile End, East London - in East London. The Mile End East London listing uses information from census, Trade Directories and History to add licensees, bar staff, Lodgers and Visitors. At 24 Napier Terrace, Bow Common Lane in 1871 and earlier. This pub closed in 2011 and was demolished in 2012. ** The 1874 Licensed Victualler & Hoteliers Directory and the 1874 and 1876 license transfers are for the Charley Naplier, Napier Terrace, Bow Common Lane; which suggests these are the same place.